BlackBerry might not be attracting new customers but its loyal fans were waiting for a good upgrade. At Rs 15,990, the BlackBerry Z3, which seems to be inspired by the design language of the Z10, is the perfect device for them. The Z3 has a rectangular design and a textured back. Running on BlackBerry OS 10.2.1, the device includes Priority Hub, one of the best features of this OS. Under Priority Hub, all important notifications including messages, emails, calls and BBM are stored under a single hood. The phone has a five-inch display with 960x540 pixel resolution offering vibrant colours. It is powered by a 1.2 GHz dual core processor and 1.5 GB of RAM. Its multitasking is competent and the device doesn't hang at all. The 4K technology is currently very elusive owing to the high price that the products command. While the 4K TVs continue to be priced exorbitantly, the world's first Ultra HD laptop by Japanese electronics giant Toshiba is priced at Rs 86,000. The 15.6-inch laptop has a brushed metallic finish that makes it look good. The screen resolution is four times sharper than the HD resolution, making the video playback really sharp which may not be visible to the naked eye. But its real application lies when you are editing multiple videos or photographs. You do not have to browse these videos or photographs and you have more space to view them in very high resolution. The only limitation at the moment is the lack of 4K content. 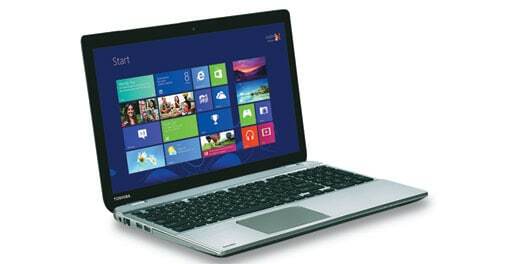 Other than the 4K display, the laptop packs in the i7 processor, Harman Kardon speakers, 1TB HDD and 16 GB of RAM. All in all, the P50 brings in a lot many features at this price. Interestingly, the laptop is easily retailing for around Rs 5,000 cheaper than the company price of Rs 86,000. Remembering your passwords every time you key into an account can be quite a challenge. LastPass is an award-winning application that not only remembers all your passwords but also inserts the password into the login screen when opened in a browser or any other app. The beauty of this rather simple app is that it works across devices, including your laptop and mobiles handsets.